The north gallery will feature changing contemporary craft exhibitions. 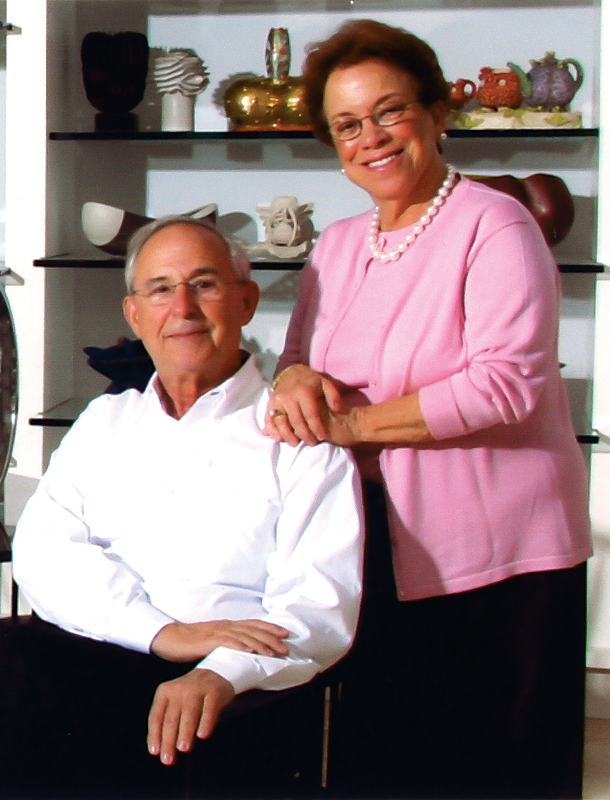 Dr. Robert (Bob) and Deanna (Debbie) Harris Burger have been collecting contemporary ceramic works of art since the 1970s. They were inspired by the beautiful forms, colors, and innovative techniques used to create the artworks. Debbie has ties to Flint, having enjoyed ceramic classes at the Flint Institute of Arts in her youth. Today, the Burgers reside in Florida and together have built an impressive art collection using the knowledge they have gained through studying and visiting exhibitions, galleries, studios, private collections, and taking studio classes. Since 2005, the Burgers have donated more than 300 works of art to the FIA, including nearly 300 ceramic works and 70 works of other mediums.